Here is the post as seen on Bio Break (http://biobreak.wordpress.com/), July 15. Hello! Welcome to Bio Break: Supergirl Edition! I am Danania, Supergirl of Lorien and today you get to listen to me jabber about Rohan’s “horsing around” and see me model some clothes… no peaking. 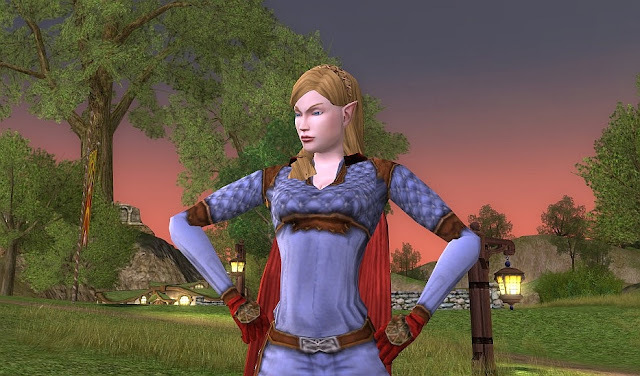 Mmmm… I totally enjoy living in Middle Earth LOTRO and am goose bumpy about heading into Rohan on September 5th. 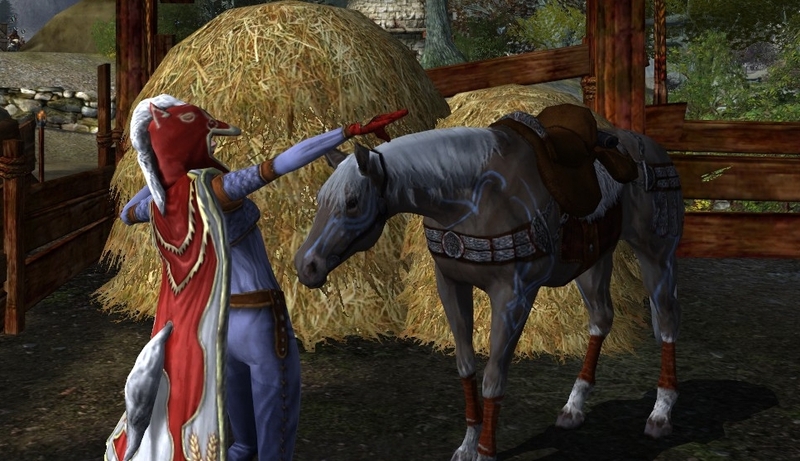 LOTRO currently has a pre-order for the Riders of Rohan Expansion to avoid the rush at the ticket booth opening day. 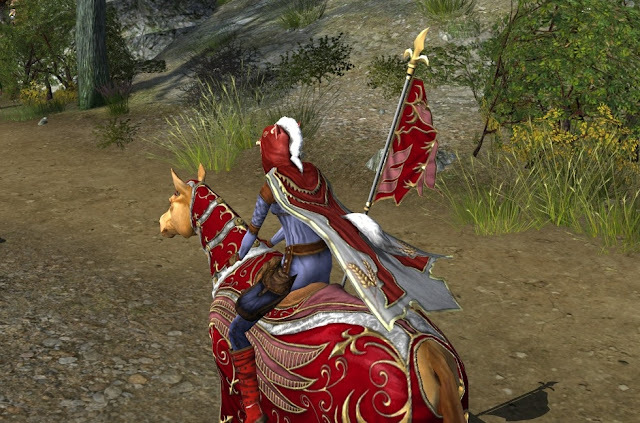 To summarize… for 75$ for the Legendary version of the expansion (the most stuff) you get a lovely steed, a 6th inventory bag, “horse session quests”, access to RoR expansion in September, 2000 TP for the Lotro store, legendary item (weapon) booster, skirmish soldier (assistant) appearance modifier, an in-game title, cosmetic set, level 75 cloaks, and the outrider’s token (a 25% XP boost for your characters). 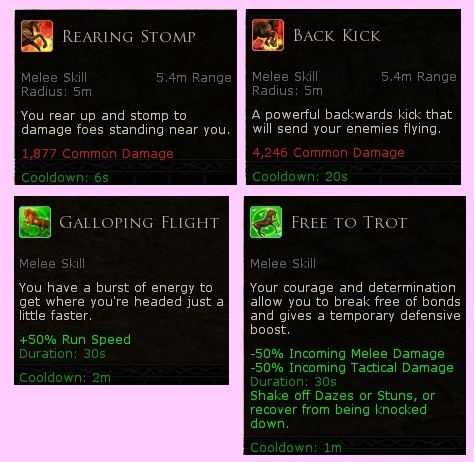 For most players, many of those things seem self-explanatory except for the “horse session quests” and their related bonuses so I will focus on that here. To see a breakdown of the rest of the stuff and fluff, I wrote “Horsing Around, part 1” here (http://www.danania.net/2012/06/riders-of-rohan-pre-order-horsing.html). 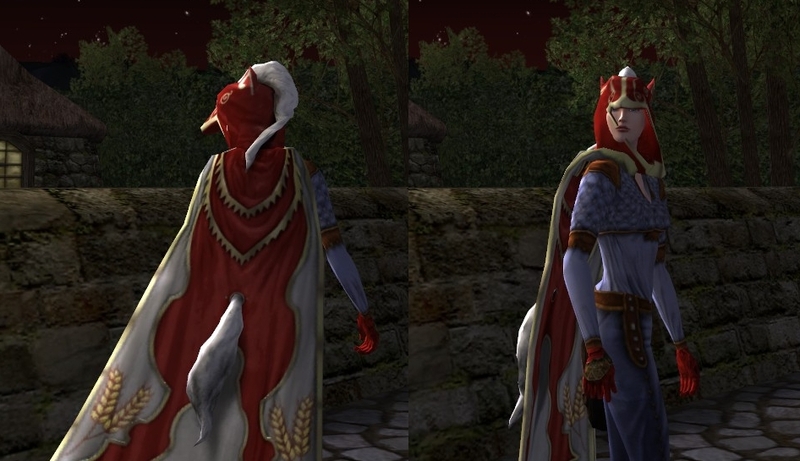 I won’t give any story points away concerning the “horse session quests”, but the mere mention of them with pictures tends to give some surprise away… So, disclaimer warning: Spoiler potential below for those who like to be 100% surprised. 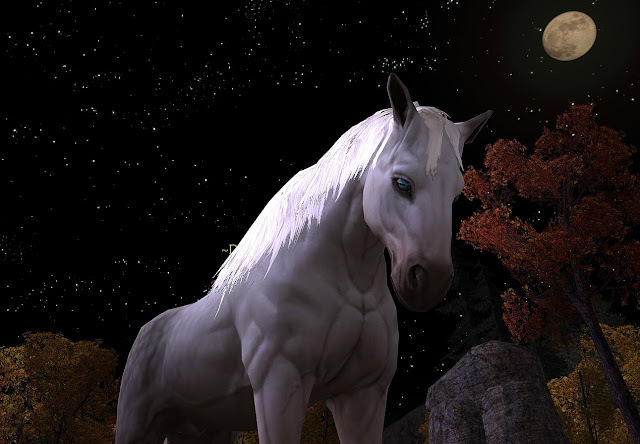 “Horse session quests”: Ok, here is the description of what we are told via pre-order… “Exclusive Rohan Content that allows you to earn a Mounted Combat deed that grants an exclusive skill for your Warsteed”. Peachy. But what does THAT mean? Once RoR is pre-ordered, a series of horse related quests in initiated by a letter in your mailbox and the quest called “New Arrival in Combe”. After starting the quest, you follow the chain down the path toward being allowed to do 2 repeated daily quests from Hengstacer Farm. Two related deeds have also begun, “Horsing Around” and “Discovering the Descendant”. What fun those skills are! The run fast skill is really really fast! I’ve chased down commuter horses travelling between stables. Fast. And, the back kick? Needless to say, the troll on the receiving end of this back kick did not get back up. Story point: I won’t go into the story, but I will say that the session quests take place on the open landscape, and you can interact with other players who are questing in the same locations as you. 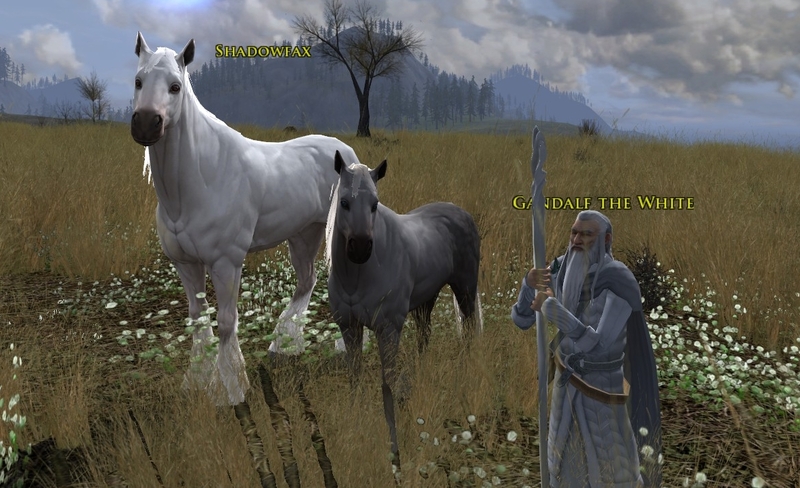 The horse session quests occur in the Lonelands, the Trollshaws, North Downs, and Hengstacer Farm, with non-horse questing taking place in Bree, Combe, and Hengstacer. 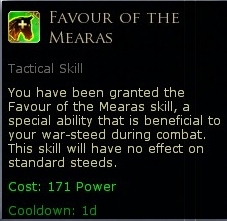 Rewards – “Discovering the Descendant”: For completing the Descendant (completing each of the 9 randomly selected quests at least once), you earn the title “Destined for Rohan” and the “exclusive skill for your Warsteed”, called Favour of the Mearas. It comes in a drab color, so I livened it up a bit with dye! What looks best? White? Greens? Browns? Black is a nice natural color, and works well with the Prized Isengard Steed. 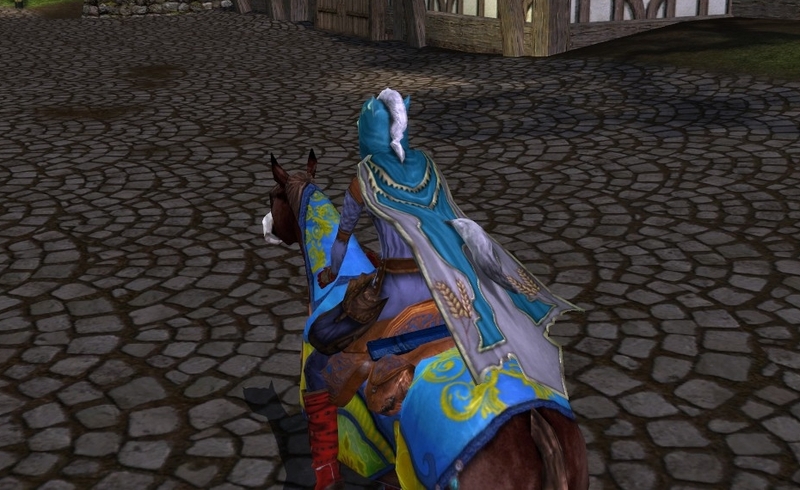 I tend to be a bit more bold though… Here is the cloak again in a nice blue hue, which complements the Steed of Bright Days. But suited to me… it has gotta be Red! …and best complementary horse might be the Reveller’s Steed. Why are you looking at me like that, Mister Algraig Steed? Of course, Imma horse! Horsey ears. Horsey tail. Let’s go horse play!